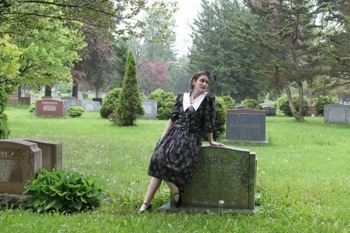 A dark comedy about death inspired by the life of Dorothy Parker! Legendary New York City literary wit, Dorothy Parker, spent her entire life trying to kill herself. Join 100 year-old Dorothy in this dark comedy as she takes you on the ride of her life… and death. Together, regular Fringe director, Maya Rabinovitch (Double Double, I Will Not Hatch!, Don’t Look, How I Learned to Stop Worrying and Love Abortion) and fresh, new playwright/performer, Jenna Turk explore the complexities and curiosities of suicide. This absurd adventure promises to bring back the sharp staging and smart storytelling of Rabinovitch’s past Fringe hits, but this time in an intimate one-woman show.